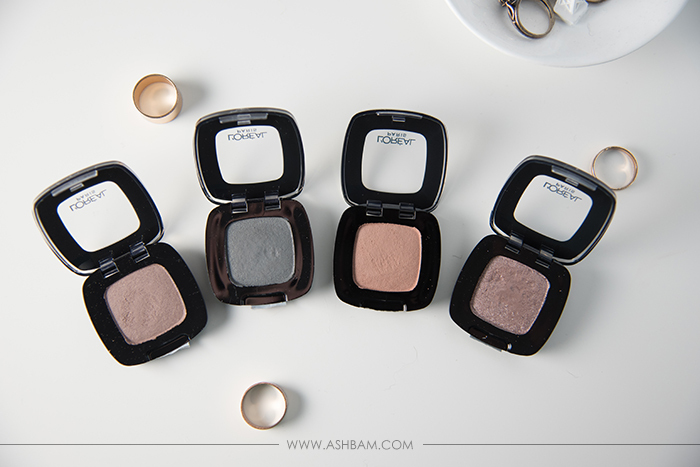 The L’Oreal Colour Riche Monos Eye Shadows have finally made their way across the pond. I believe they were released in 2014 and I have no idea why they took so long, but I’m glad they’re finally here! It does seem as if the shades may be different, none of the names are the same though some shades may be similar. (UK bloggers please let me know if this is wrong!) 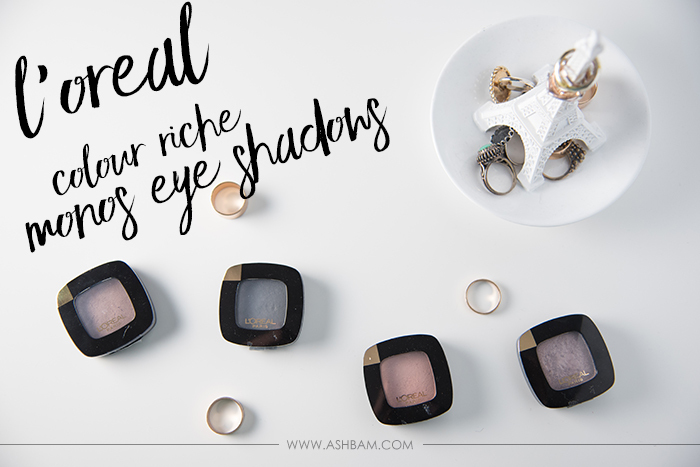 The shadows are said to be the first with infused gel technology and they’re incredibly soft, especially the shimmers. 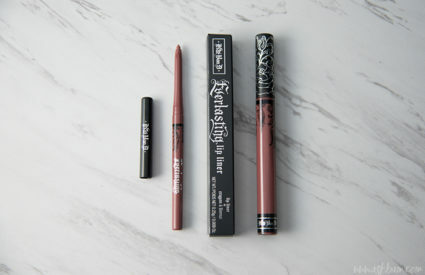 The collection contains both mattes and shimmers and both formulas are fantastic, they don’t feel powdery and I didn’t experience any fall out. I found they’re easy to use with a brush, but obviously your fingers would have better pay off. 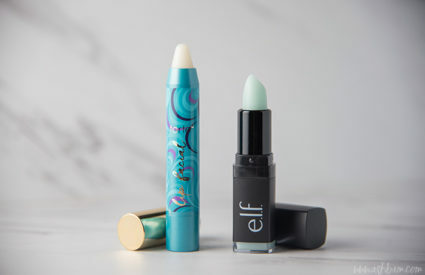 I originally ordered two from Ulta and picked up two more at Walgreens this past weekend while they were on sale for $4.99 (Typically $5.99). 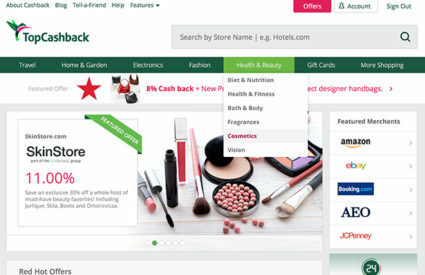 Before I made my purchase from Ulta I did a bit of searching but was unable to find any swatches at the time, so I went into it a little blind. 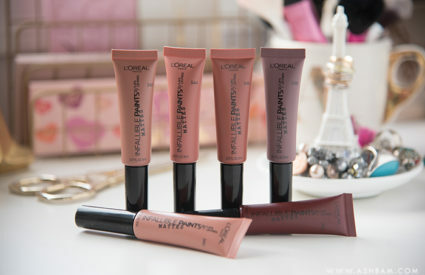 I ordered them and hoped for the best since unfortunately the colors on Ulta’s site rarely look the same in real life. And I lucked out because the two I decided on were beautiful! Typically Meet Me in Paris wouldn’t be a shade I’d go for, but I’m quite happy I did. (I’ll admit, I kind of picked it for it’s name.) It’s a beautiful matte deep grey with a hint of blue and while I could use a brush with it, it was easier to use my fingers to apply it and then blend out the edges with a brush. I did experience some creasing, which typically happens when I use darker colors. Pain Au Chocolat (Another fantastic name, I can’t tell you the amount of these pastries I ate while visiting Disneyland Paris!) is a shimmer and the color is harder to describe, it goes from taupe, to purple, to silver and I simply love it. It’s not quite as intense on the lid as it swatches, but it still looks beautiful. It had great lasting power, there was only the tiniest bit of creasing at the end of the day. At Walgreens I picked up Cafe Au Lait, a matte cooler mid-tone brown shade that I thought would be really great to use in the crease. 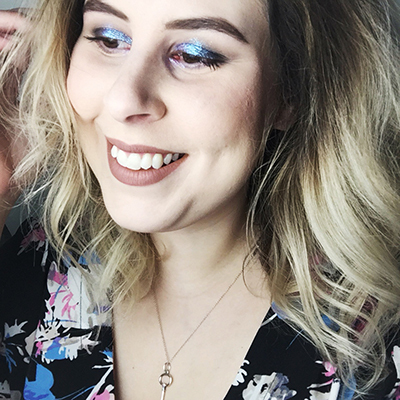 I’ve been looking for a single shadow that I could easily travel with, since most of my favorite crease colors are in random palettes, and this turned out to be perfect! It’s actually really beautiful by it’s self and I think I’m going to get a lot of use out of it! I didn’t experience any creasing with this one which kind of surprised me! Lastly I decided on Little Beige Dress, a matte pinky beige. On the lid it’s basically my skin color so it’s perfect as a base. I thought at first I might use this for the crease but it’s a bit too light. I still think it’ll be great at evening out the color of my eyelids. Again I didn’t have any creasing at all with it! All of the shades blended out beautifully and they’re fantastic on their own. 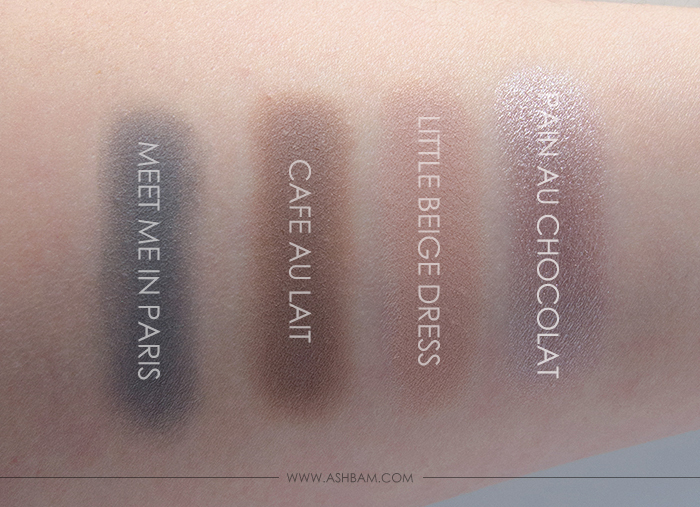 I did have a bit of trouble when I tried to add Meet Me in Paris in the crease of Pain Au Chocolat, I just couldn’t get enough pigmentation for it to really show up. But aside from that these are lovely little shadows and I think I’ll get a lot of use out of them! Have you tried any of these yet? If not which color do you want to try the most? Don’t forget to enter my Smile Brilliant teeth whitening kit giveaway! I love these! For the price I think they’re one of the best eyeshadows from the drugstore that I’ve tried.